Jae Writer. Now this one sounds like the perfect website to learn more about the craft of writing. Count me as a new follower. Manuscript Wish List (#MSWL). Whoa! What writer wouldn’t want to get inside the mind of agents and editors? The Passive Voice. 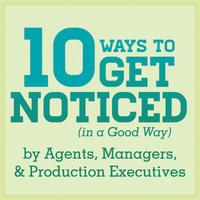 Again, a great blog to learn what agents think. Plus, a bit of legalese from an attorney. Pub Crawl. Here you can find an insider’s perspective from authors and publishing professionals. Cool! Savvy Writers. Almost a million followers! Doris-Maria Heilmann blogs cover everything you ever wanted to know about publishing your book. Susan Dennard. Her blog is filled with writing and publishing resources for aspiring authors. Everything from story-telling to the finished book. Women Writers, Women’s Books. All things about women authors. Well, I definitely qualify. Writing Career. Provides places that actually pay writers. Alright! Click and read about all of the great links on Erica’s website. Did you discover a new website? Are any of the 27 a favorite? Do you use any of these websites? Which ones? Leave me a comment. I can’t wait to read your thoughts or suggestions. Previous Do you know the best app for writing?